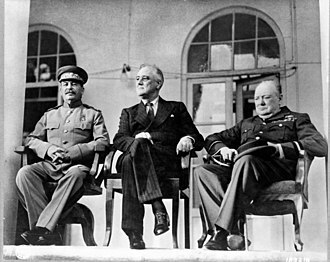 During World War II, the Soviet Union occupied and annexed several countries effectively handed over by Nazi Germany in the secret protocol Molotov–Ribbentrop Pact of 1939. 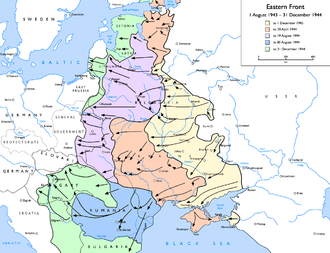 These included Eastern Poland, as well as Latvia, Lithuania, part of eastern Finland, apart from Molotov–Ribbentrop Pact and post-war division of Germany, USSR occupied and annexed Carpathian Ruthenia from Czechoslovakia in 1945. 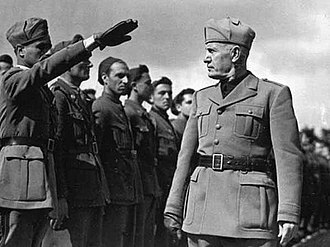 Poland was the first country to be occupied by the Soviet Union during the World War II, the secret protocol of the Molotov-Ribbentrop pact stipulated Poland to be split between Soviet Union and Nazi Germany. In 1944–1947, over a million Poles were resettled from the territories into Poland. 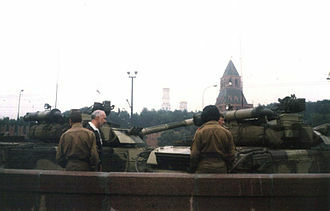 Soviet troops were stationed in Poland from 1945 till 1993, other scholars date the Soviet occupation till 1989. 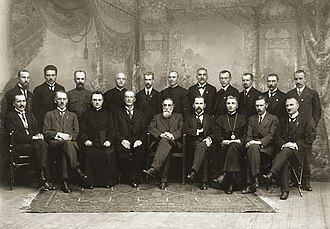 The Polish Government in Exile existed until 1990, after existing as independent countries for twenty years, the Baltic states were occupied and illegally annexed in June 1940. 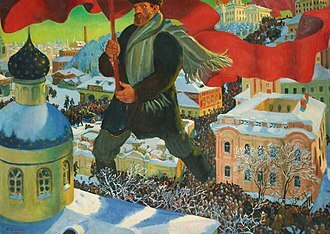 In the case of refusal, the USSR effected an air and naval blockade, the military forces overtook the political systems of these countries and installed puppet regimes after rigged elections in June 1940. The sovietisation was interrupted by the German occupation in 1941–1944, the Baltic Offensive re-established the Soviet control in 1944–1945, and resumed sovietisation, mostly completed by 1950. The forced collectivisation of agriculture began in 1947, and was completed after the deportation in March 1949. Private farms were confiscated, and farmers were made to join the collective farms, an armed resistance movement of forest brothers was active until the mid-1950s. Hundreds of thousands participated or supported the movement, tens of thousands were killed, the Soviet authorities fighting the forest brothers suffered hundreds of deaths. Some innocent civilians were killed on both sides, in addition, a number of underground nationalist schoolchildren groups were active. Most of their members were sentenced to terms of imprisonment. The punitive actions decreased rapidly after Joseph Stalins death in 1953, from 1956–58, during the occupation, the Soviet authorities killed, politically arrested, unlawfully drafted, and deported hundreds of thousands of people. The Karelo-Finnish Soviet Socialist Republic, called Soviet Karelia or simply known as Karelia was a republic of the Soviet Union. It existed from 1940 until it was part of the Russian SFSR in 1956 as the Karelian Autonomous Soviet Socialist Republic. The Karelo-Finnish Soviet Socialist Republic was set up on March 31,1940 by merging the KASSR with the Finnish Democratic Republic. The entire Karelian population of the areas, about 422,000 people, was evacuated to Finland. In 1944, the Soviet Union recaptured the area, Soviet sovereignty was recognized by Finland in the Moscow Armistice and Paris Peace Treaty. The Finnish Karelians were evacuated to Finland again, in September 1944, the Karelian Isthmus with Vyborg was transferred from the Karelo-Finnish SSR to the Leningrad Oblast of the RSFSR, but Ladoga Karelia remained a part of the republic. On July 16,1956, the republic was incorporated into the Russian SFSR as the Karelian Autonomous Soviet Socialist Republic, the abolition of the Karelian SSR in 1956 was the only case in the history of the USSR of merging a member republic of the USSR into another republic. The State Great Khural is the unicameral parliament of Mongolia. It is located in the Government Palace, 1924–1960 The first Ulsyn Ikh Hural was called to session in November 1924. This body was the legislature of the Mongolian Peoples Republic and it delegated much of its powers to an executive committee, the Ulsyn Baga Hural. The Great Khural held nine sessions between November 1924 and February 1949, following electoral reforms in 1951, the numbering of its sessions began again. The first was held in July 1951 and the third in July 1957, 1960–1992 In 1960 a new constitution was adopted and the body was renamed the Peoples Great Khural, but the sessions were not renumbered. The fourth took place in July 1960 and the last in September 1992, in Russian and Mongolian historiography, the term Peoples Great Khural is frequently extended back to refer to the 1924–60 Khural to distinguish it from the post-1992 State Great Khural. The first free and multi-party election in Mongolia was held in 1990, the newly elected parliament changed the Constitution, established the State Baga Hural which replaced the Peoples Great Hural as the highest legislative body. 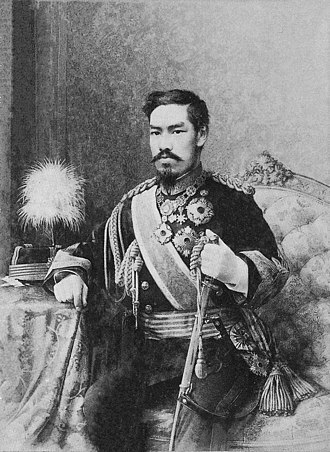 This elected the first Chairman, Radnaasumberel Gonghigdroj, and the first Chairman of the Secretariat, the State Baga Hural had 5 standing committees. The Mongolian Peoples Revolutionary Party, The Mongolian Democratic Party, The Mongolian Social Democratic Party, the State Baga Hural adopted 27 new laws, ratified 17 international treaties and conventions as well as made amendments to 19 laws. 1992–1996 The State Great Hural had 10 standing committees, the elected Chairman was Natsag Bagabandi, and the Chairman of the Secretariat was Namsrai Rechnindorj. The State Great Hural adopted 137 laws, made amendments to 142 laws, the parliament ratified 40 international treaties and conventions during its term. 1996–2000 The State Great Hural had 5 standing committees in 1996-1997 and this increased to 7 standing committees in 1997-2000. The Democratic Union Coalition, The Mongolian Peoples Revolutionary Party, The Mongolian Conservative United Party won seats in the parliament, the elected Chairman was Radnaasumberel Gonghigdroj, and the Chairman of the Secreteriat was Log Tsog until 1999. 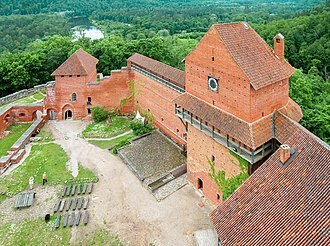 Moshchny is an island in the Gulf of Finland of the Baltic Sea, located some 120 km west of Saint Petersburg. The island is a part of the Leningrad Oblast, the area of the island is approximately 13.9 km². After the Finnish Civil War and until the Russo-Finnish Winter War the island was a part of Finland, the island, which had the largest population of the Finnish islands in the gulf was evacuated in 1939 - an operation that lasted merely a few hours. The Russians had a naval station and a radar on the island. On November 18,1942 three Finnish motor torpedo boats Syöksy and Vihuri, as well as a minelaying KM-boat made an assault on the harbour of Lavansaari, Syöksy managed to hit the gunboat Krasnoye Znamya with one torpedo. The Soviet vessel was sunk in her moorings, but was raised on 13 November 1943. The German naval forces wanted to prevent the Soviet naval forces operating to the West of Lavansaari by mine-laying two large seamine barrages. Both the Seeigel and Seehund barrages were recognised by the Finnish Navy as Suursaari - Kiskolan rivi, Seeigel I-IV and VI-VIII consisted of 2526 pieces of sea mines together with Seeigel V in the depth of from two metres to three metres below the water surface. The Lithuanian Soviet Socialist Republic, known as Soviet Lithuania or Lithuania was a republic of the Soviet Union. It existed from 1940 to 1990, between 1941 and 1944, the German invasion of the Soviet Union caused its de facto dissolution. 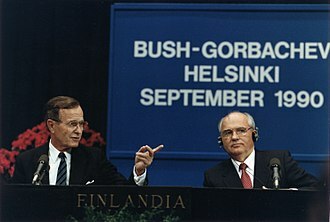 However, with the retreat of the Germans in 1944–1945, Soviet hegemony was re-established, on 18 May 1989, the Lithuanian SSR declared state sovereignty within its borders during perestroika. On 11 March 1990, the Republic of Lithuania was declared to be re-established as an independent state, Soviet Union itself recognized Lithuanian independence on 6 September 1991. There had been an attempt to establish a Soviet government in Lithuania by the Bolshevik Red Army in 1918–1919. The Lithuanian SSR was first proclaimed on 16 December 1918, by the revolutionary government of Lithuania. 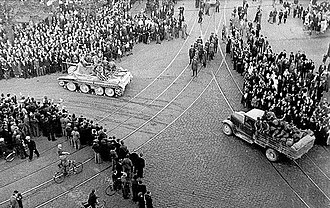 The Lithuanian SSR was supported by the Red Army, but it failed to create a de facto government with any support as the Council of Lithuania had successfully done earlier. 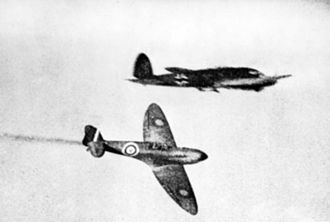 It has been suggested that the failure to conquer Poland in the Polish–Soviet War prevented the Soviets from invading Lithuania, the Molotov–Ribbentrop Pact of August 1939, between Nazi Germany and the Soviet Union, stated that Lithuania was to be included into the German sphere of influence. 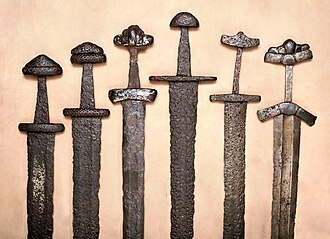 However soon after World War II began in September 1939, and this was granted in exchange for Lublin and parts of the Warsaw province of Poland, originally ascribed to the Soviet Union, but by that time already occupied by German forces. 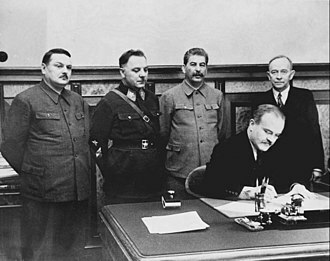 Following the 1940 Soviet ultimatum to Lithuania and subsequent invasion of 15 June 1940, before doing so, in accordance with the Lithuanian constitution, he turned over his duties on a provisional basis to Prime Minister Antanas Merkys. The day after Smetonas departure, Merkys announced he had deposed Smetona and had taken over the presidency in his own right, on 17 June, at the behest of the Soviets, Merkys appointed a left-wing journalist, Justas Paleckis, as prime minister. 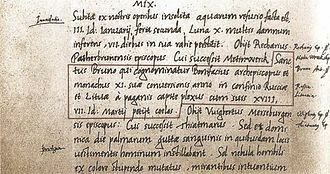 Merkys himself resigned, making Paleckis acting president as well, for all intents and purposes, Lithuania had lost its independence. 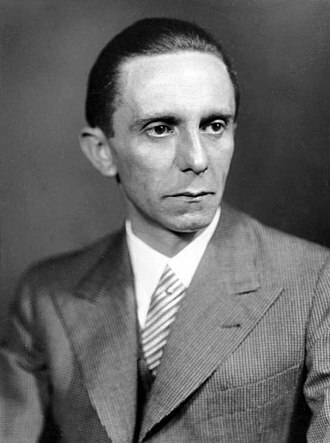 Paleckis appointed a Communist-dominated peoples government with Vincas Krėvė-Mickevičius as prime minister and this government dissolved the Fourth Seimas and announced elections for a Peoples Seimas on 14 July. The Tuvan Peoples Republic was a partially recognized independent state in the territory of the former Tuvan protectorate of Imperial Russia known as Uryankhaisky Krai. 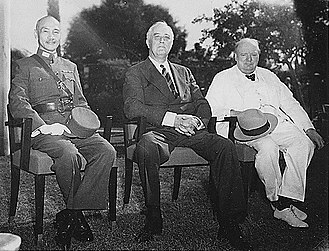 Although formally a sovereign, independent nation from 1921 to 1944, the Soviet Union and the Mongolian Peoples Republic were the only countries to recognize its independence. It joined the Soviet Union in 1944, the territory corresponding to that of Tannu Tuva is the non-sovereign Tuva Republic within the Russian Federation. Before its annexation by the Russian Empire, Tuva was part of the Chinese Qing dynasty, following the Russian Revolution of 1917, communist troops took Tuva in January 1920. The chaos accompanying this era allowed the Tuvans to again proclaim their independence, on 14 August 1921, the Bolsheviks established a Tuvan Peoples Republic, called Tannu Tuva until 1926. Tannu refers to the Tannu-ola Mountains while Tuva is derived from the Tuvan ethnicity, the capital Khem-Beldir was eventually renamed Kyzyl. A treaty between the Soviet Union and the Mongolian Peoples Republic in 1926 affirmed the country’s independence, no other countries formally recognized it, although it appeared on maps and globes produced in the United States. Tuva’s first Prime Minister was Donduk Kuular of the Tuvan Peoples Revolutionary Party, Kuular made Buddhism the state religion and tried to limit settlers and propaganda coming from Russia. 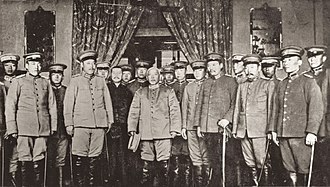 He tried to establish ties with Mongolia, the Soviet Union became increasingly alarmed by these initiatives and in 1929 Prime Minister Kuular was arrested and executed in the 1929 Tuvan coup détat. In the USSR meanwhile five members of the Communist University of the Toilers of the East, the new government set about trying to destroy Buddhism and shamanism in Tuva, a policy encouraged by Stalin. The attempts at eradicating nomadic husbandry were more difficult, a census in 1931 showed that 82. 2% of Tuvans still engaged in nomadic cattle breeding. Salchak Toka, one of the commissars extraordinary mentioned above, was made General Secretary of the Tuvan Peoples Revolutionary Party in 1932 and he stayed in power in Tuva until his death in 1973. 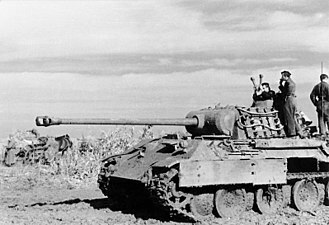 It is sometimes written that Tuva entered World War II with the USSR on 22 or 25 June 1941, nevertheless, a voluntary funding campaign in Tuva helped the Red Army in the fight against the Axis Powers. There were many areas annexed by Nazi Germany both immediately before and throughout the course of World War II. The territories listed below are those that were annexed into Germany proper. 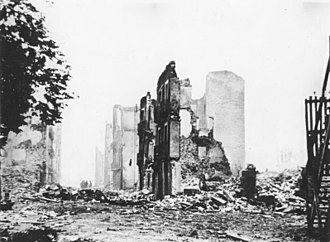 The Memel Territory, north of the Neman River and including the city of Klaipėda, the area was to be administered by the League of Nations according to the Treaty of Versailles, but had been unilaterally occupied by Lithuania in 1923. 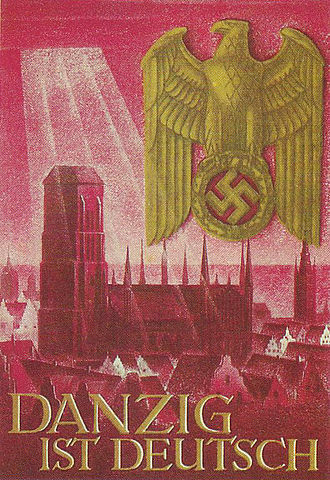 The Free City of Danzig, incorporated on 8 October 1939 into the newly formed Reichsgau of Danzig-West Prussia, after Germanys invasion of their former partner in 1941, some parts of eastern Poland that had been annexed to the Soviet Union were in turn annexed by Germany. The Sudetenland, in October 1938 from the inter-war Czechoslovakia, the areas bordering Germany of Austria-Hungary that been dissolved by the post-First World War treaties and part of the newly created country were predominantly German-populated. 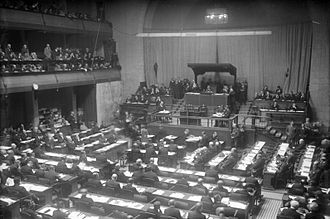 Adolf Hitlers demands for their autonomy or reattachment to Germany triggered the Sudeten Crisis and it was resolved by the Munich Agreement, which allowed their annexation in exchange by a guarantee from Hitler to respect the future territorial integrity of the remainder of Czechoslovakia. 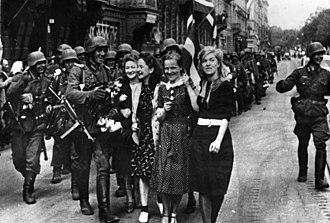 Austria, in the Anschluss of March 1938, northern Slovenia, in April 1941 following the invasion of Yugoslavia on the sixth of that month. 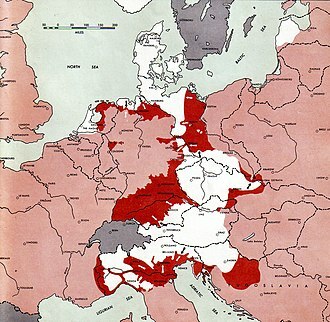 Part of Cisleithania before the First World War and Alsace became respectively part of Gau Westmark and Reichsgau Oberrhein. The grand duchy owed its independence to the facts it had been in a union until 1867 with the crown of the Netherlands and part of the German Confederation. It was fused with the Gau of Koblenz-Trier to form the Gau of Moselland, eupen-Malmédy in June 1940, when the predominantly German-speaking in Belgiums border area was integrated with Köln-Aachen Gau. Historically a part of the Low Countries, they had awarded to Rhenish Prussia by the Congress of Vienna in 1815. Belgium and northern France, de jure only from December 1944, in July 1944 it had been ephemerally replaced by a civil administration, the Reichskommissariat Belgien-Nordfrankreich. The theoretically annexed area was divided into three Reichsgaue, of Flanders and the district of Brussels, a part of Wallonia was under German control in December 1944/January 1945 during the Battle of the Bulge. Gogland or Hogland is an island in the Gulf of Finland in the eastern Baltic Sea, about 180 km west from Saint Petersburg and 35 km from the coast of Finland. Hogland has an area of approximately 21 km2, its highest point is 173 m and it belongs to Russias Kingiseppsky District in the Leningrad Oblast. Hoglands tourist industry is growing in importance, with most tourists coming from St. Petersburg, in 2006, Russian authorities declared Hogland a border area, which means that foreign nationals are not allowed to travel to the island without special permits. This limits tourism from abroad to small groups, admitted one at a time, there is some confusion regarding the transliteration of the name from the Russian language. The name Hogland has never changed, however, in Russian. Since being ceded to Russia, the Russian name form, as seen on maps, is often used in western languages. Hogland has been inhabited by ethnic Finns since at least the 16th century, peter had the islands first lighthouse built in 1723. 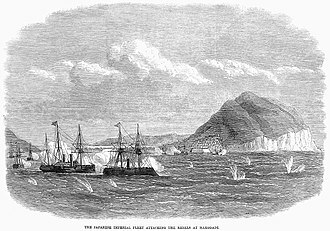 During the Russo-Swedish War the Battle of Hogland, between the Russian and Swedish fleets, took place offshore, in July 1788, offshore there have been several notable shipwrecks. The crew of the three-mast clipper Amerika, which sank near the shore in October 1856, after the Finnish War, Gogland officially passed to the Russian Empire, although it was made part of the newly created Grand Duchy of Finland which gained independence from Russia in 1917. 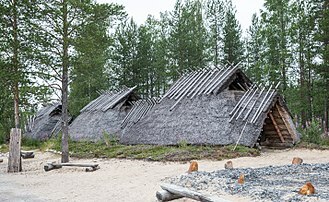 Most of the population lived in two fishing villages administrated from Viipuri. Hogland is known as the location of one of the earliest radio contacts, in return, the Soviet Union would show its good faith by offering a large slice of empty and unofficially disputed Karelian borderland in exchange. Soviet troops occupied the island during the Winter War, and the population was evacuated. 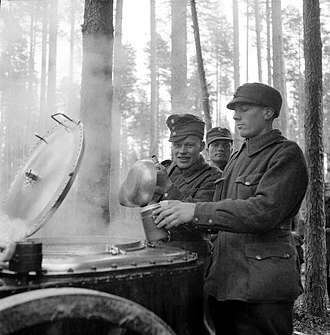 Finnish forces captured Hogland during the Battle of Suursaari, Hogland reverted to Russian possession at the end of the war. 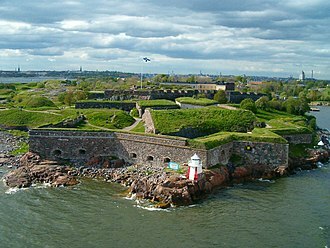 During the war years both Soviet and Finnish troops built extensive fortifications, which are found all over the island. Clockwise from the north: Memel, Danzig, Polish territories, General Government, Sudetenland, Bohemia-Moravia, Ostmark (Anschluss), Northern Slovenia, Adriatic littoral, Alpine foothills, Alsace-Lorraine, Luxembourg, Eupen-Malmédy, Wallonia, Flanders, Nord-Pas-de-Calais and Brussels. The areas in light green were the fully annexed territories, while those in dark green were the partially incorporated territories. The territory of Germany before 1938 is shown in blue. Moshchny island's location in the Gulf of Finland. Antanas Smetona and his party were major beneficiaries of the coup.